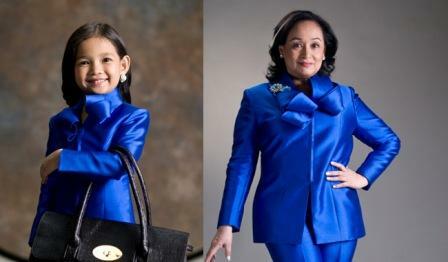 If the fantaserye "Mutya" of the newest child star Mutya Orquia ended successfully at No. 1 nationwide, the newest inspirational fantasy TV series of the returning Primetime child wonder Xyriel Ann Manabat also debuted at No. 1 nationwide! "100 Days to Heaven" premiered very strong last Monday stealing the No. 1 spot nationwide! This TV series about second chances stole the crown from "Mara Clara" and from "Minsan Lang Kita Iibigin" as it got a 32.1% TV ratings! It's such a good start for "100 Days to Heaven". Hope that its success shall continue until the end!